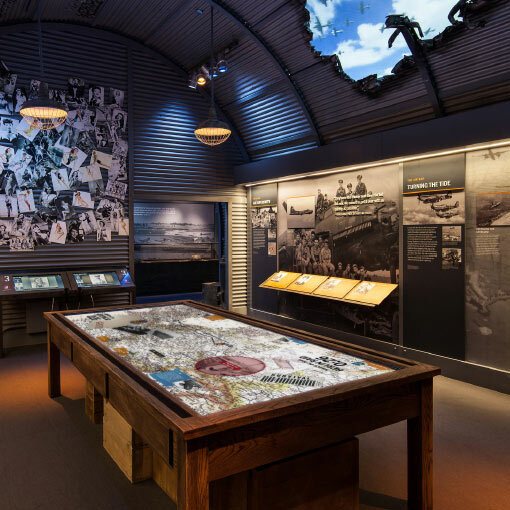 Tucked away in a bomb damaged Quonset hut in the Road to Berlin Exhibit at the National WWII Museum, the Air War Table takes visitors on a series of daring air raids over Europe. 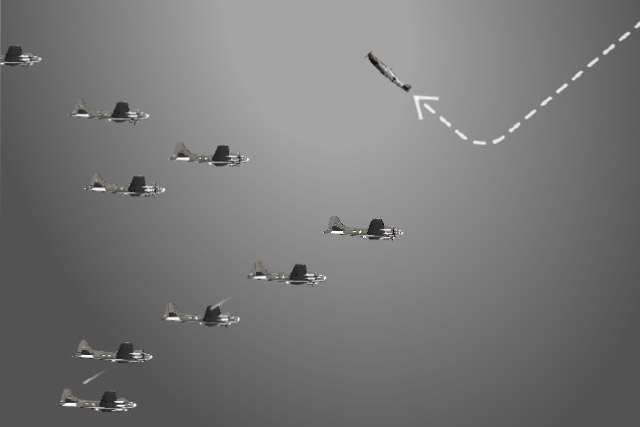 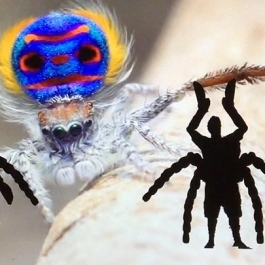 Unified Field created a prototype and provided concept development for the interactive Air War Table. 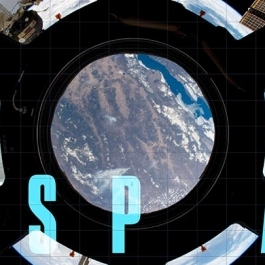 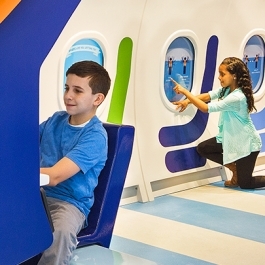 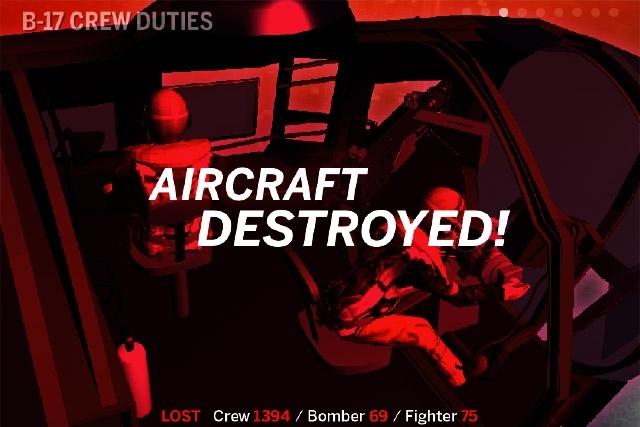 In the prototype, guests could select from several interactive Air Force missions enhanced with multimedia content such as pop up content, 3D models, custom rendered ground cover and animated cutaways detailing crew member duties. 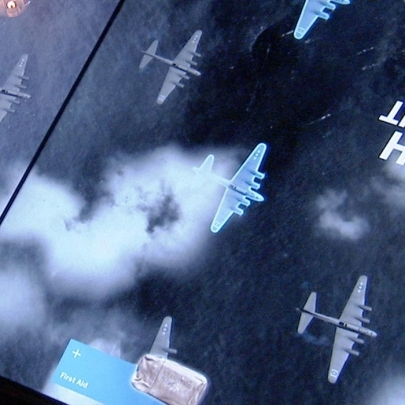 Overhead, visitors can watch a synchronized digital formation of B-17 bombers flyby. 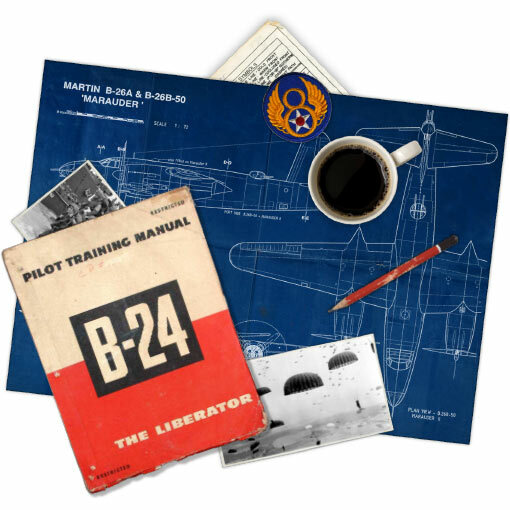 Located in a replica Quonset hut, Air War Table enables Road to Berlin guests to observe historically accurate briefings and understand the intricate decision making involved in each bomber mission over Europe. 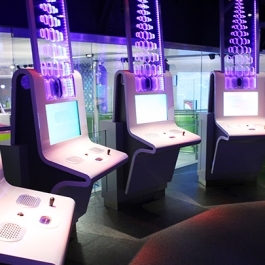 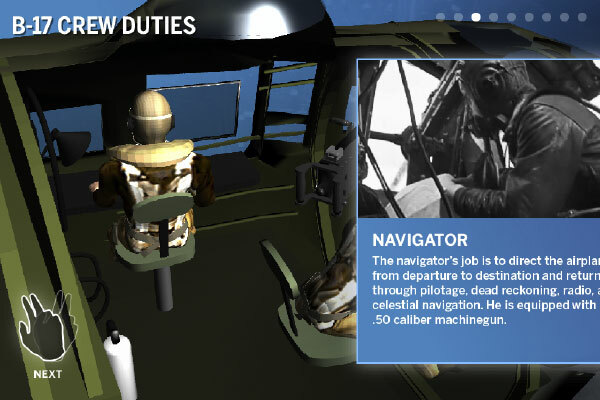 From bomber jackets and flight suits to flight computers and navigational equipment, Air War Table immerses guests in the history of strategic air campaigns over Europe. 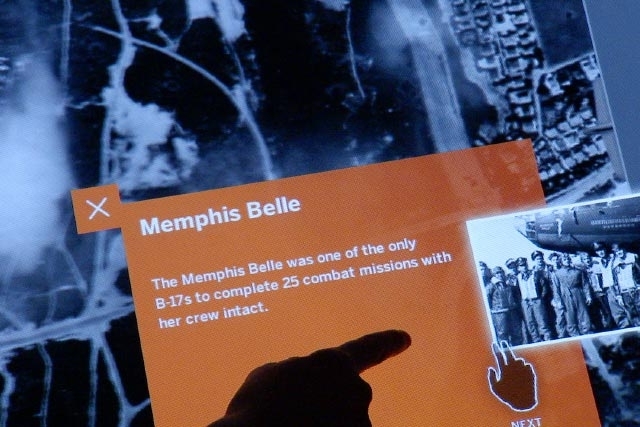 Through maps, animations and voiceover, the Air War Multitouch Table escorts National WWII Museum visitors on several key missions over Europe. 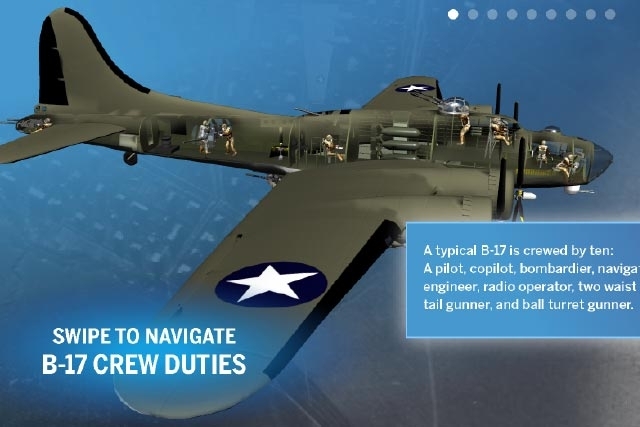 Interactive B-17 bombers allow National WWII Museum guests to view 3D animations of bombardiers, pilots, navigators and machine gunners going about their onboard tasks. 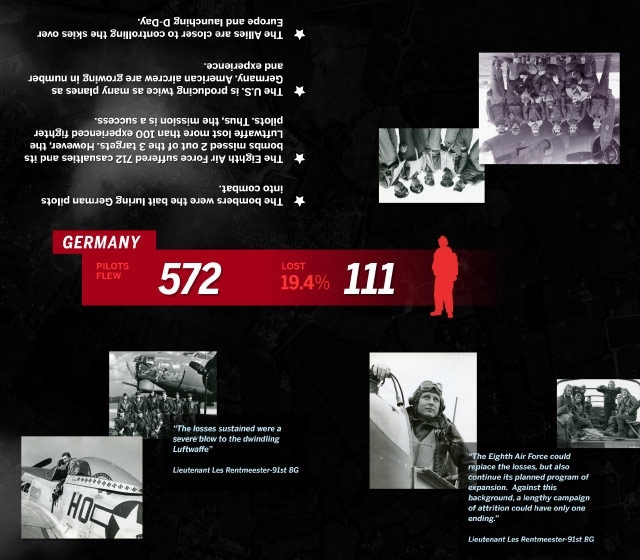 Air War Table provides a topdown view of several historic bomber raids over Europe at the National WWII Museum’s Road to Berlin Exhibit. 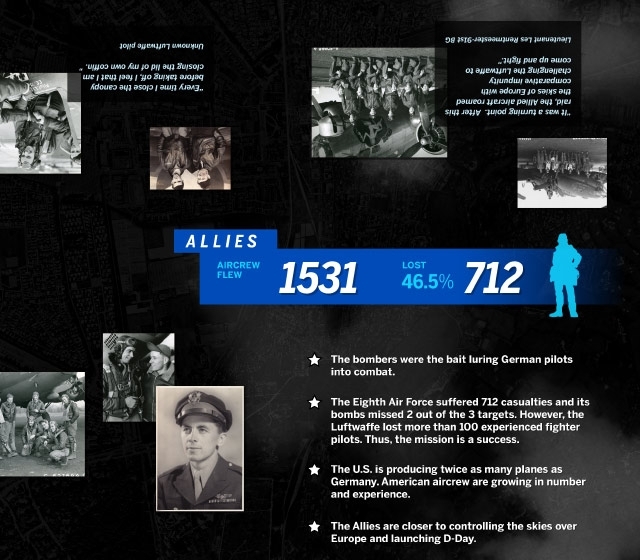 Unified Field custom rendered all of the historically accurate ground beneath the action.